Weight loss is a difficult process and is a part of overall health maintenance. Weight loss often does not occur without a team effort. Maintaining lost weight is just as important as the initial loss. Dr. Nair & his team understand these weight loss principles and are prepared to help you help yourself. Weight Management at BodyRx is a three-step process. It is imperative to follow these steps to achieve success. You will be given a healthy eating diet plan to follow to help you achieve your weight loss goals. Click here to download two suggested eating plans. No diet is complete without an activity plan. Whether you are just walking or taking fitness classes, you need to get moving to optimize your success. Your practitioner and you will decide if an appetite suppressant will be an option for you. There are many of these prescriptions on the market currently. Talk to Dr. Suresh, Kim, Pam, or Chris about which one is right for you. 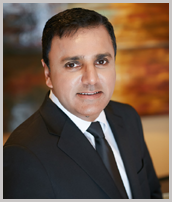 Dr. Nair is an internist who for the past nine years has been redirecting his practice to better utilize his expertise in weight loss, weight management, and nutritional medicine. Dr. Nair’s 15 year practice history spans from the very young and healthy to the old and frail which has intuitively provided him with insight into not only the short term effects of being overweight but the long term chronic complications as well. The prescription cost is not covered in these prices. You will need to have that filled at your local pharmacy. We also do not accept prior authorization requests. It is imperative that you make and keep your monthly follow-up visits. This allows us to keep up with your progress and answer any of your questions as well. After a three-month time period, you must refill out new patient paperwork and pay the initial consult fee. This is non-negotiable for any reason. You can also download your paperwork to fill out at home to save you time on your initial appointment. Healthy meals for the everyday client that is trying to get in shape and stay healthy. Receive a 15% discount.